Mistakes can happen when hurrying to file a tax return by the due date. This can mean longer processing times and possible tax refund delays. Electronic filing is the best way to avoid common mistakes; it is also the most accurate way to file a tax return. The IRS estimates that about 70 percent of taxpayers can file their tax return at no charge by using IRS Free File software. File electronically. Filing electronically reduces tax return errors, as the software does the calculations, flags common errors and prompts taxpayers for missing information. Mail a paper return to the right address. Paper filers should check IRS.gov or their tax form instructions for the appropriate address where to file to avoid processing delays. Review all figures. While software catches and prevents many errors on e-filed returns, math errors remain common on paper returns. Get the right routing and account numbers. 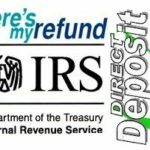 Requesting direct deposit of a federal tax refund into one, two or even three accounts is convenient and allows the taxpayer access to their money faster. Make sure the financial institution routing and account numbers entered on the return are accurate. Incorrect numbers can cause a refund to be delayed or deposited into the wrong account. Sign and date the return. If filing a joint return, both spouses must sign and date the return. When filing an individual tax return electronically, taxpayers must electronically sign the tax return using a personal identification number (PIN): Either the Self-Select PIN or the Practitioner PIN method. 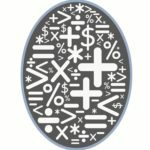 Find adjusted gross income: Taxpayers who changed tax software products may be asked to enter their prior-year adjusted gross income to validate their Self-Select PIN. Taxpayers who did not retain a copy of their prior-year return may have to use Get Transcript Online or Get Transcript by Mail to obtain their prior-year AGI. Attach all required forms. Paper filers need to attach W-2s and other forms to the front of their returns that reflect tax withholding. If requesting a payment agreement with the IRS, also attach Form 9465, Installment Agreement Request, to the front of the return. Attach all other necessary schedules and forms to the upper right-hand corner of the tax form in the order shown in the instructions. Request a filing extension. For taxpayers who cannot meet the April 17 deadline, requesting a filing extension is easy and will prevent late-filing penalties. Use Free File to request an extension electronically or submit a paper Form 4868, Application for Extension of Time to File U.S. Individual Income Tax Return. Other fast, free and easy ways to get an extension include using IRS Direct Pay, the Electronic Federal Tax Payment System or by paying with a credit or debit card. There is no need to file a separate Form 4868 extension request when making an electronic payment and indicating it is for an extension. The IRS will automatically count it as an extension. But keep in mind that while an extension grants additional time to file, tax payments are still due April 17.